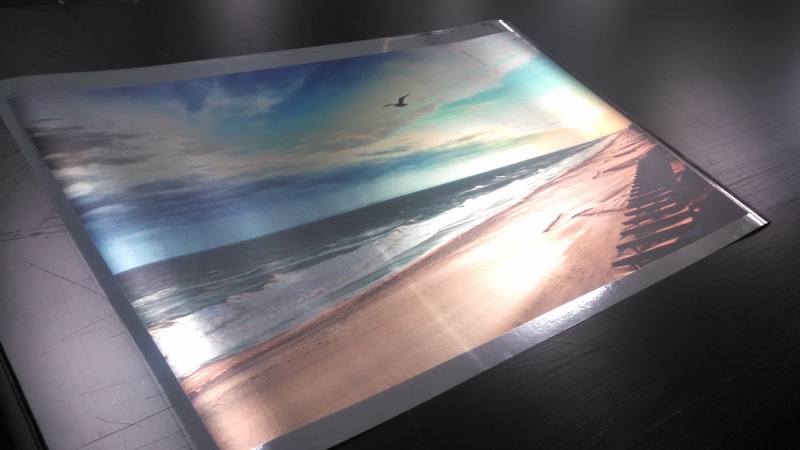 In this photo you see a photograph printed on a foil faced wallpaper material. It gives very nice effects to a great photo, and for sure something you don’t ordinarily see. Anything that would ordinarily be white is now silver, and parts of the photo that don’t have a lot of ink on them have an affect that can be very interesting. The sand, for instance, is very much like shiny copper. It’s different, and fun! Give us a call if you want to give it a try. This entry was posted in Custom Printed Wallpaper and tagged custom wallpaper, foil wallpaper, shiny wallpaper. Bookmark the permalink.